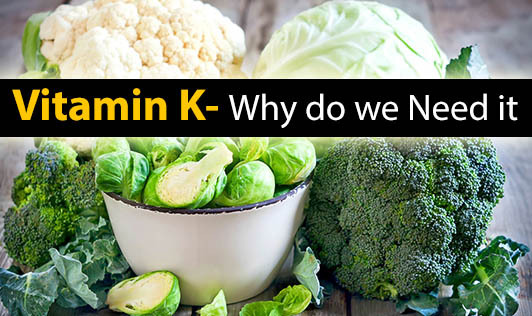 Vitamin K - Why do we Need it? • Vitamin K is a major factor required in the process of blood clotting. • It helps to strengthen the bones. • It is also known to play a role in preventing the blood vessels and the heart valves from calcifying. • Some forms of vitamin K also help to protect the cells from oxidative stress. • It has a role in synthesis of some of the nervous system components. • Common cooking oils especially soybean oil. Have these foods and you don't need to worry about the ‘clotting vitamin' at all....! !